Welcome and thank you for taking the time to visit us at Optitech Eyecare. We appreciate your visit and are pleased to use this medium to provide you an insight about us and our products. We are here to provide you the highest quality and economically viable range of Ophthalmic, ENT Equipment, Scientific Instruments and 1Uze products. We sincerely hope you will get more understanding of and interest in our products and would consider us to fulfill your ophthalmic needs. 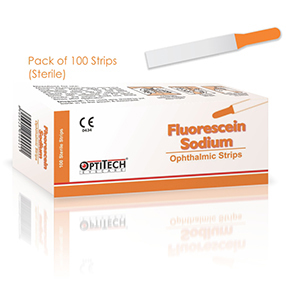 It is used diagnostic strip used to visualize defects or abrasions in the corneal epithelium by staining the areas of cellular loss. This product has been specially designed to improve access to all quadrants of the capsule during cortex removal and capsule clean-up. 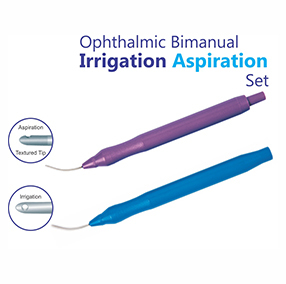 Separate handpieces have several advantages over standard coaxial systems including smaller incision, controlled fluidics an improved approach for removal of sub-incisional cortex. 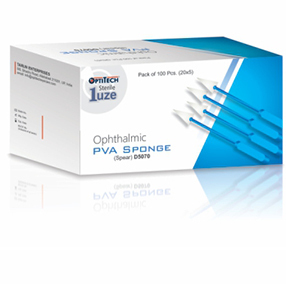 Eyes Sponges Designed for optimal tissue manipulation and controlled absorption of fluids and blood from ocular surgical field, during cataract, lasik and corneal procedure. 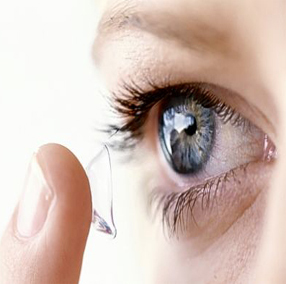 Optitech Eyecare is a company based out of holy city of Allahabad,India. We belong to family of Optometrist from 3 generations. The group was formed by Late Dr. S N Jaggi who was engaged in optical retail - then passed to Dev Raj Jaggi who took it forward to become the pioneer in ophthalmic instrumentation in south East Asia. Currently, the company is led by Mr. Tarun Jaggi, who is a graduate in optometry and has an expertise of more than 25 years. We are committed to manufacture & supply the best quality of Ophthalmic, ENT Equipment, Scientific Instruments and 1Uze products. Committed to serving its customers by providing an extensive line of affordable, safe and efficacious products.